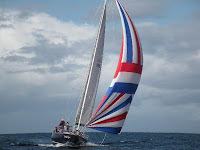 How’s cruising on a 47' Luxury Italian Racer / Cruiser sailing yacht for your personal pleasure. Sailing on the beautiful Monterey Bay Marine Sanctuary in California. Sound good? Then Bella on the Bay is for you. Take one of the most beautiful places on the planet and add the magic of having someone sail you around in the middle of it all on a beautiful yacht. Some days this could be indescribably magical and others it may just be fantastic! TripAdvisor rated as the #1 tour in Monterey and 5 out of 5 stars. Doesn’t get any better than that! Captain Christian is a one of the most welcoming, enthusiastic, friendly people you will ever meet. Right off making you feel like his boat is your boat. Sailing on Bella with friends and family is a fantastic experience with Captain Christian immediately putting everyone at ease and making sure everyone is comfortable with the adventure. He makes sure everyone knows what to expect and addresses any concerns. The boat is big enough to feel comfortable and small enough to be a thrilling ride even with mild wind. The sea life was great and views were spectacular. 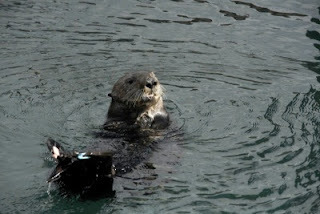 Come visit me in Monterey California. Bring drinks, snacks and be ready to relax, whether you want to go sailing for a few hours or charter his boat for a night or weekend its up to you. During a recent adventure, Kiwi and Koala and friends (yes, we do have some) had some great wine and cheese with crackers and Alle Pia Salami (we love this stuff) and we are generally well stocked. 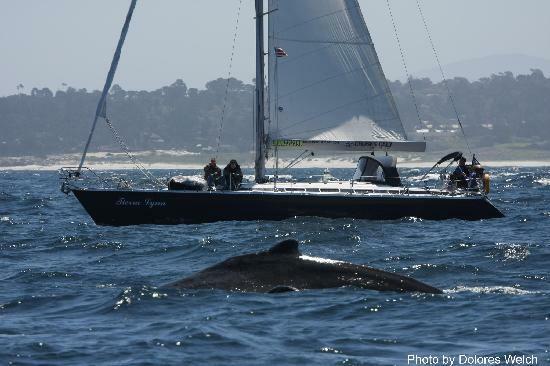 Sailing in Monterey Bay is a beautiful experience particularly when the weather cooperates and the whales, dolphins, seals and otters all show up and welcome you to the bay. A great way to spend a morning, afternoon or? Custom arrangements are Captain Christian’s forte. We were treated like royalty (we are in some circles) and had an absolute blast. We may have to make this an annual event. A Must Do whether you are living in or just visiting the Monterey area. Tell captain Christian WineWalkabout sent you! Smells good, funny flavour but!